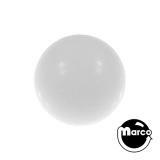 CIRQUS VOLTAIRE (Bally) Ball Menagerie 2"
Solid white plastic 3/4" diameter ball used for many pinball and arcade games. 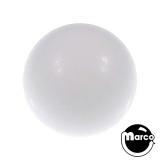 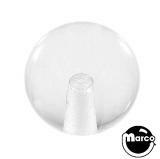 White Delrin plastic ball 1/2" diameter. 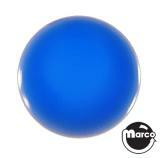 Acrylic ball for Stern LORD OF THE RINGS pinball machine. BIG GUNS (Williams) Ball red 3/4"